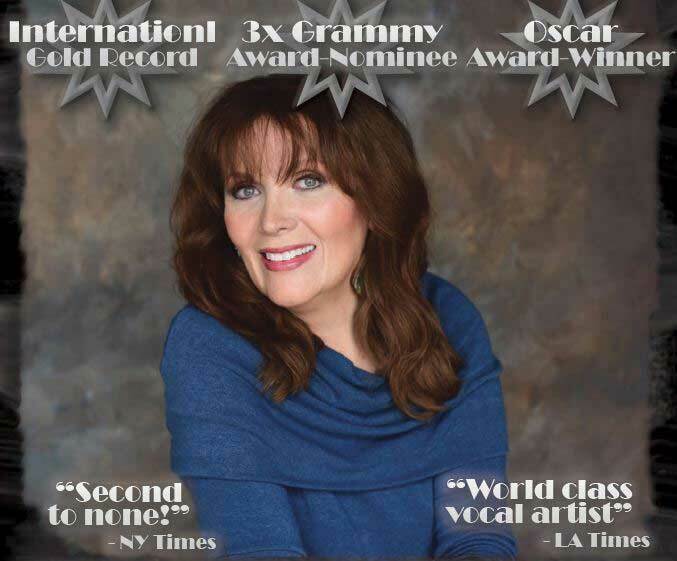 Multi-GRAMMY nominee, Broadway and Recording artist, Maureen McGovern, continues to thrill audiences with a voice that defies categorization. Known as “The Stradivarius Voice,”McGovern’s career includes more than 45 years of recordings, songwriting, concerts, and theater, film, television, and radio appearances. Maureen’s #1 Oscar-winning International Gold Record “The Morning After” (The Poseidon Adventure) garnered her first Grammy nomination for “Best New Artist,” and her solo album The Pleasure of His Company, with Emmy/Grmmy Award-winning jazz pianist, Mike Renzi, earned her second Grammy nomination for “Best Traditional Pop Vocal.” She was also a featured guest artist on the Grammy Award-winning album Songs from the Neighborhood: The Music of Mister Rogers. Other hits include, “Can You Read My Mind” fromSuperman, the Oscar-winning track “We May Never Love Like This Again” from The Towering Inferno, and “Different Worlds” from the TV series Angie. In addition to hearing her music in films and television, McGovern played the role of “Sr. Angelina” in the iconic comedy films Airplane! and Airplane II: The Sequel, and “Rachel” in Joseph: King of Dreams with Ben Affleck. Maureen made her Broadway debut in 1981 as “Mabel” in The Pirates of Penzance, and went on to star as “Luisa” in Nine, “Polly Peachum” in 3 Penny Opera with Sting, and “Anna” in the Brodway revival tour of The King and I. In 2005 she was nominated for a Drama Desk Award for her role as “Marmee” in Little Women: The Musical on Broadway. She reprised her role as “Marmee” in the first national tour of Little Women. Maureen has performed in numerous regional theater productions including The Lion in Winter, Dear World, Of Thee I Sing, Guys and Dolls and her one-woman musical memoir, Carry it On, among others.